Tipsy OS is now available for Motorola Moto G 3rd generation . Thanks to Xda developer Vatsal for Developing Tipsy OS for Motorola Moto G 3rd generation . Tipsy OS is based on Android 5.1.1 Lollipop . Follow These Guides and Then proceed for Tipsy OS Installation on Motorola Moto G 3rd generation . Step 2. 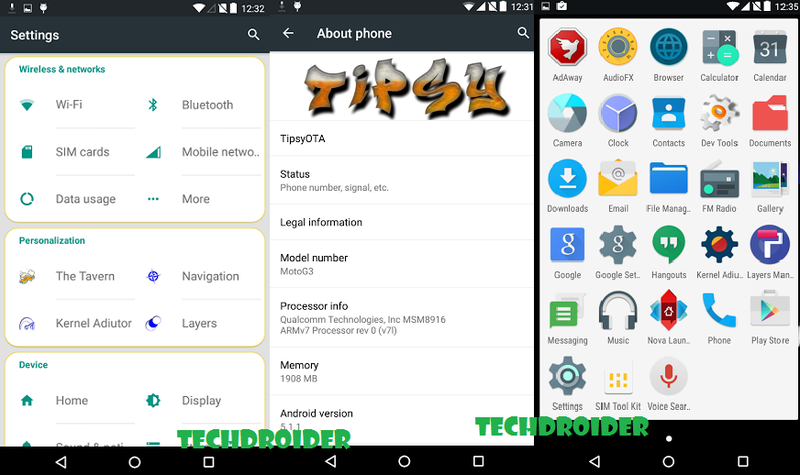 Download Tipsy OS Custom Rom and Its Gapps for Moto G 3rd generation from below . Step 6. Choose the file you downloaded following Step 2 ( First flash CrDroid , then flash Gapps ) .